to load and extension limits are standard features. 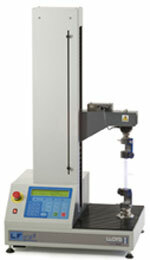 frames, thermal cabinets and extensometers. in a choice of languages as standard. SPC and clear pass/fail indication.